An important step in creating a safer play space is selecting the right playground surfacing solution. Surfacing products from GT Impax are engineered to work with GameTime play systems and are matched to the specifications required for adequate safety surfacing, including the correct calculation of play equipment fall heights. Our playground surfaces are certified to meet all applicable standards listed by the American Society for Testing and Materials (ASTM), including F1292 for impact attenuation and F1951 for wheelchair accessibility. 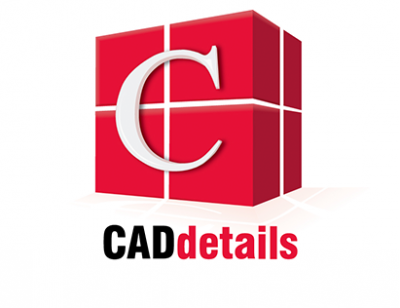 Please scroll down to view more information on our surfacing options or request a catalog, quote or CAD Details using the buttons below. GT Impax playground surfaces provide maximum flexibility, a wide range of options and a network of experienced representatives and certified installers. Create a nature-inspired setting with the natural look of grass or inspire a child’s imagination with vivid colors and intricate patterns. No matter the need, budget or application, GameTime offers a comprehensive selection of compliant surfacing that will make your playground a signature play destination. 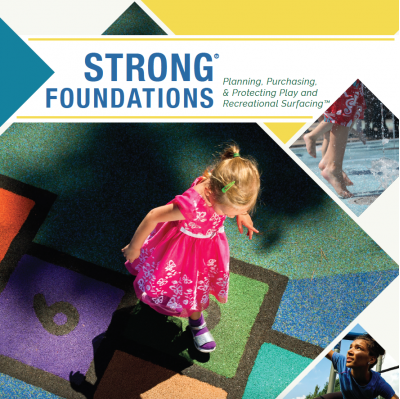 Strong Foundations is a guidebook that educates how to properly plan, purchase and protect playground surfacing to ensure years of enjoyable use by children of all abilities. Includes research on the developmental benefits of playgrounds and provides valuable tools to help playground owners increase the play value and functionality of their play space. Request your copy today! With its economic price and quick installation, Engineered Wood Fiber (EWF) playground surfacing is a popular choice for projects with initial budget constraints. Poured in Place (PIP) Rubber is one of the best surfaces for ADA accessibility. A wide variety of colors can add an element of colorful purpose to a playground by creating inlaid shapes and themed designs. PIP utilizes trained and certified installation crews to produce a surface that is attractive and durable. Although PIP carries a high initial investment cost, it's often offset by lower maintenance costs over the surface's lifetime. GT Impax Bonded Rubber provides a highly accessible, low maintenance surface made from clean, recycled shredded rubber tires. Bonded Rubber offers attractive seamless playground surfacing with more muted and natural looking color options. GT Impax Recycled Loose Fill Rubber is a soft, colorful option comprised of a unique rubber granule that offers the best impact absorbing features of all loose-fill surfacing. Loose-fill rubber does not decompose making it a great economical choice. Recycled Rubber Tiles provide a unitary surface offering superior shock absorption, minimal maintenance and extended wear. Easy to install with a variety of colors and patterns available. These tiles lock together to create a floating floor type effect to resist deforming in changing weather conditions. Ideal for indoor or outdoor recreational flooring. GT Impax Synthetic Turf delivers the look of nature to any play environment. 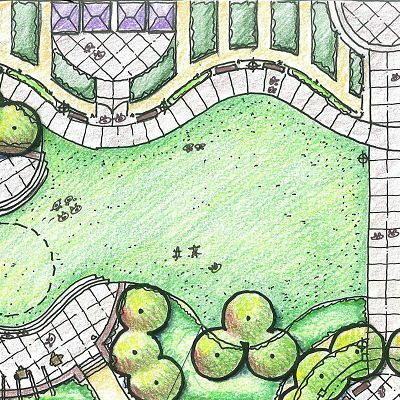 Synthetic Turf choices provide adequate drainage, cushioning, long wear and ADA accessibility in playground applications. Pup Turf from GT Impax possesses a natural outdoor look that any pet will love. Uniquely designed for our friends with paws and claws, Pup Turf has exclusive perforations allowing for rapid drainage that cultivates a cleaner environment. Surfacing accessories help maintain a compliant, playful surface. Choose from products that help with containment and drainage and that are compatible with a variety of surfaces.